Today, Singapore observes the day it withdrew from the Federation of Malaysia in 1965 and became a republic. The National Day of Singapore is celebrated with parades, fireworks, stunt displays by the Singapore Armed Forces parachutists, cultural demonstrations, music and dance. 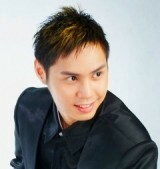 In honor of this day of celebration, EzineArticles Singaporean Expert Author Vern How Chan is today’s Author Spotlight. Vern is a professional affiliate marketer who enjoys helping others take control of their financial life by using simple, proven marketing methods. He believes in successful affiliate marketing by having a clear focus and vision, taking calculated risks and being an honest marketer. He then uses subheadings for each of the 3 secrets and expands on each secret with 2 short paragraphs. His article concludes with a final tip that can be applied to these 3 secrets and his resource box has a simple call to action with his URL and short bio. An EzineArticles Platinum Member since July 2006, Vern has 509 active articles with over 235,000 views. His articles can primarily be found in Internet Marketing and Traffic Building subcategories. Vern furthers his credibility as an EzineArticles Expert Author with his extended author bio and photo. Article Lengths in the 350-500 word range. Simple article body formatting with subheadings, numbered and/or bulleted lists, etc. make his articles easy to read. Consistently delivers on his article title promise. Extended Author Bio and Photo uploaded. Consistently writes and submits sets of 4-6 articles at a time. Thanks Vern How Chan for being an EzineArticles Expert Author and to all 1,936 members from Singapore…enjoy your national day of celebration! Absolutely a great day! Congratulations also for being in EA’s Spotlight. I read some of your articles Vern and have bookmarked your page for further reading and learning. Thanks for sharing your knowledge. Vern, I forgot to mention good luck in the Olympic games. I too would love to visit Singapore City. Thanks again for the learning opportunities. First of all, my hands are shaking with excitement as I write this. My deepest thanks to Chris (the owner of EzineArticles) for having me as the author spotlight this time round. I never would have ever expected to be featured, so this really is a surprise at any rate. Thanks to all of you for your great comments and while I’m residing in Singapore (I’m a permanent resident here) I really am Malaysian ;) though I still love Singapore as it is my second home (me and the wife just got a place here). Really, this is like the most essential of all things if you wanna perform well in article writing. I didn’t notice this was important until I read an article by Steven Wagenheim and he mentioned that you should “reward” yourself every few paragraphs or even lines. Often times, I’d wander off and check my emails and surf somewhere too. But I always come back after a few seconds out of guilt to writing my articles. This is something you should try to discipline yourself as well. See, I never gave up. Honestly, (and this is to compliment Chris and his wonderful team at EZA) EzineArticles has a very strict editor policy. It can be a pain when you get your article rejected several times. But I persevered and made my articles not only compliant but reader friendly too. This didn’t happen overnight, it came with many challenges and the thought that I will “never ever give up, no matter what”. Thanks also for remembering Singapore’s National Day!